There was excited chatter and ideas aplenty at the closing ceremony of Workshop on Learning Through Interactive Apps this Saturday at the Information Technology University (ITU). I.T.U.’s Vice-Chancellor, Dr. Umar Saif, addressed the workshop attendees and congratulated them on taking the pioneering step towards rejuvenating educational curriculum in the nation. Mr. Sami Khan, Manager Industry Training and Events, also addressed the participants and encouraged their efforts for educational reform. The trainers, Mr. Mustafa Syed, Ms. Komal Farooq, Mr. Zia-ul-Islam, Ms. Aleena Hasan, Mr. Malik Shehzad and Ms. Sheeza Farooq, were commended for their tireless effort during the six-day workshop. The six facilitators of this workshop are currently enrolled in the MS Innovative Technologies in Education program at NUST. Combining technology and cutting-edge pedagogical techniques, Dr. Yasira Waqar and Dr. Ashraf Iqbal had designed the workshop to introduce attendees to the potential of technology-based innovative curriculum. Participants were instructed in the design of learning applications and were exposed to themes like education through drama and storytelling and the impact of games on learning. The goal behind the workshop was to have participants designing learning applications which have students studying at their own pace. Studies have shown that self-paced studying invigorates creativity in young learners and maximizes retention of subject matter. Feedback from the workshop participants lends that the program’s interdisciplinary and field-work focused nature helped accelerate their understanding of the subject matter. This workshop will be followed up by an entire course on Innovative Educational Technologies being offered at Information Technology University in the upcoming fall semester. 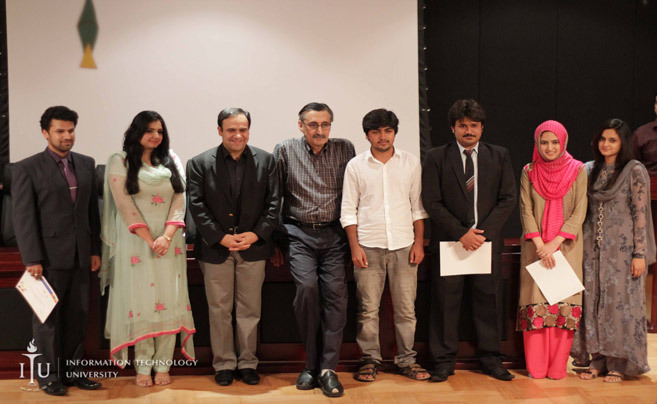 Share the post "Workshop on Learning Through Interactive Apps Comes to a Close"